FLBC believes that scripture describes a model of church leadership comprised of Pastor-Elders. This single office is held by a group of men who have no senior pastor, no hierarchy, a body of equals working together to shepherd the church. All Pastor-Elders are equally accountable to lead the church, pastor the flock, and teach the Word. Within that equality, Sam Pierce is able to be focused on ministry full time, and handles much of the day-to-day activity of the church. For any needs during the week, please contact Sam first. Sam and his wife Melissa (Mel) have three children: Noah, Rhyan and Lacey. Sam began his career as a first-grade teacher, eventually working for the Indiana Department of Education. While working at the DoE, the Lord began to call Sam to ministry. In 2011, he began full time ministry as an associate pastor at Southside Bible Church, which became The Rock Bible Church. 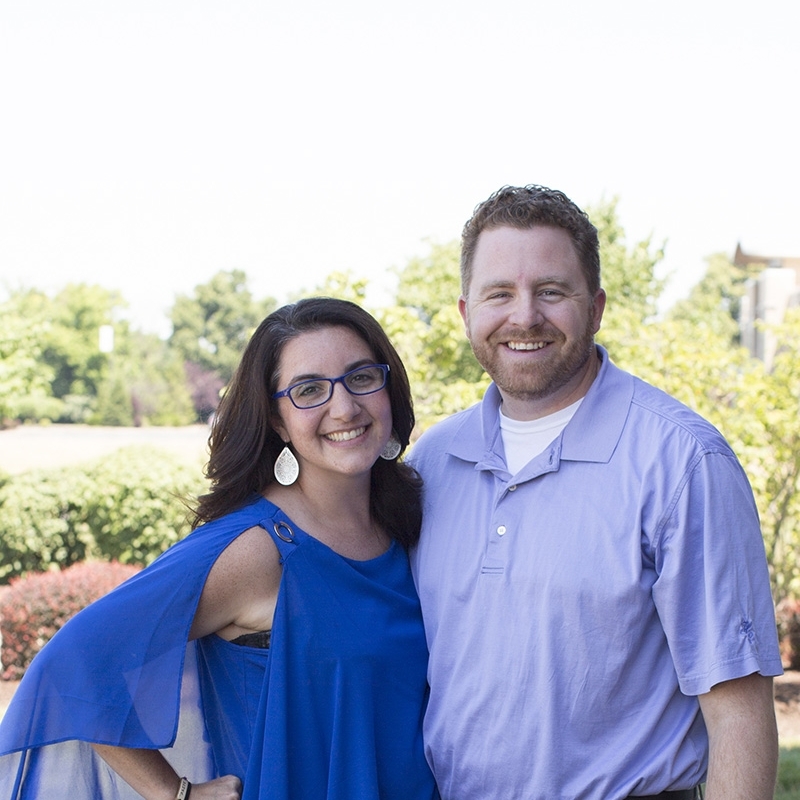 In 2016, Sam and Mel felt a calling to plant a new church. In February 2017, a small group of families established Foundation Life Bible Church. Sam is the primary teaching pastor at FLBC. Sam also continues to preach on Sunday afternoons at Crestwood Village, a retirement community in Greenwood, IN. Sam is naturally a people person, and truly enjoys the call of shepherding the flock on behalf of the Chief Shepherd. He has a weakness for chocolate, talks to the TV when soccer is on, and enjoys spending time with friends and family. Conrad and his wife Emily have five kids: Nellianne, Ezra, Celia, Caroline, and Josiah. Conrad began his church service in middle school ministry, corralling teenage hormones while teaching those kids to lean on Jesus. He is an engineer by training and program manager by practice, and thus brings the nerd element to our team. He joined the FLBC Leadership Team in 2017. We'd love to list Conrad's hobbies, but seriously, he has five kids. What are hobbies? Conrad & Emily love having friends and family over to their house, which they fondly call the Batcave. Chris and his wife Alicia have three children: Ian, Alexis and Asher. Chris has served in ministry in one fashion or another since 2002. In his home church in southern Ohio, he taught junior church and youth group. During college he was involved in Campus Crusade for Christ. When the Newmans moved to Indianapolis, Chris served in the youth ministry and as an elder. He joined the FLBC Leadership Team in 2017. Chris loves to study theology, do DIY home renovations, and is newly a radiologist at Methodist Hospital. His favorite university is The Ohio State. Naturally.